July 4th is one of my favorite holidays! 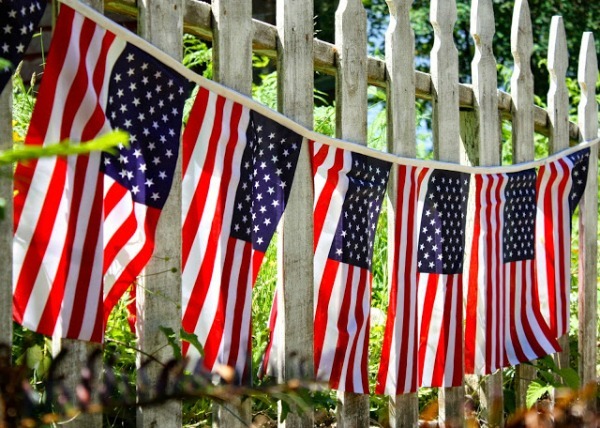 Sunshine, fireworks, family and cookouts - what's not to love! red, white and blue faves from my Pinterest board. I hope to make some of them soon! 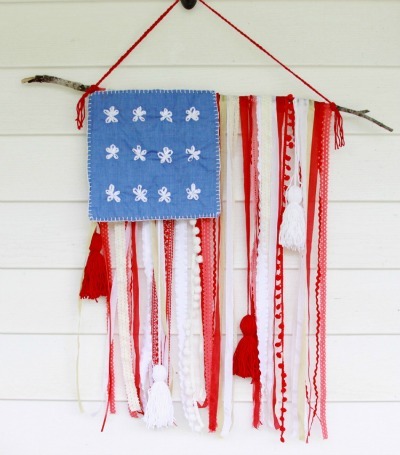 Love this rustic ribbon and lace flag from Flamingo Toes! Red, white and blue dipped pretzels from The 36th Avenue. I think our pool fence needs this flag banner from My Sweet Savannah. 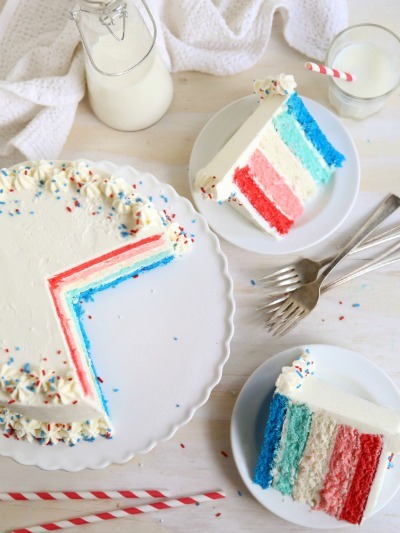 How pretty is this red, white and blue ombre cake by Completely Delicious! 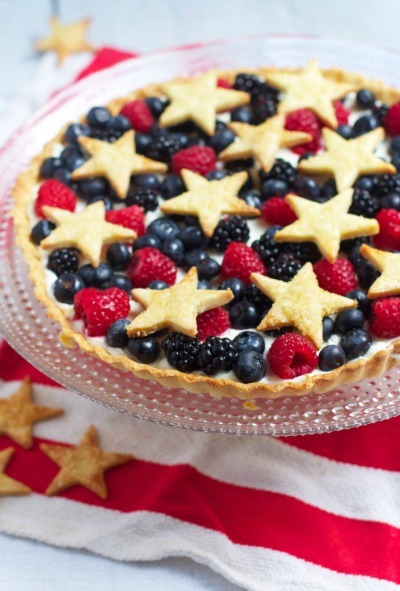 Or how about this star berry pie from The Baker Chick. 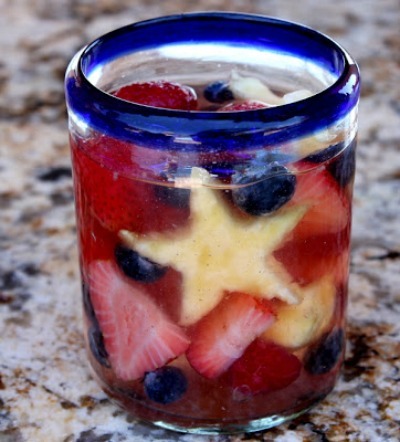 Red, white and blue sangria from Ciao! Newport Beach. I definitely need to make this soon! 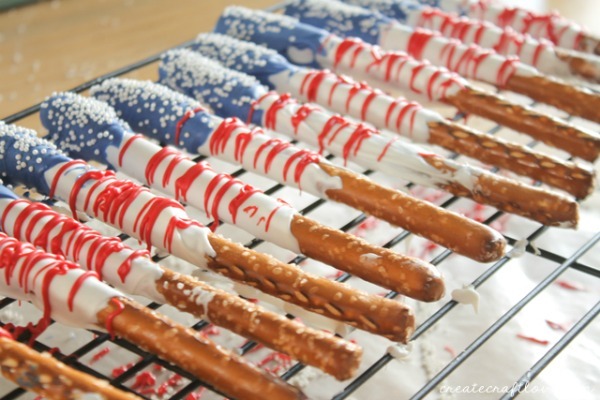 Flag pretzels from Sugar Swings. Perfect snack for the kids. 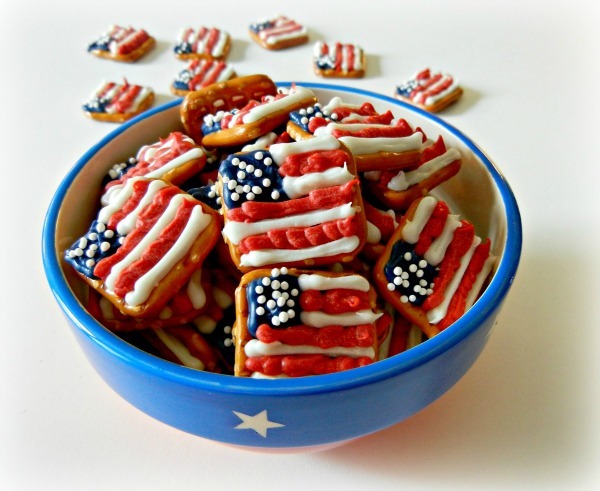 For more ideas check out my red, white and blue Pinterest board here. What are you doing on the 4th of July?